On Aug. 30, three years after NASA’s Van Allen Probes were launched from the Cape Canaveral Air Force Station in Florida, the twin spacecraft continue to push the boundaries of what is known about the space above our world. The probes have collected groundbreaking data on the two radiation belts that surround Earth and have revealed intriguing new details on the sun’s influence on our planet. The spacecraft – the second mission in NASA’s Living With a Star program, built and operated by the Johns Hopkins Applied Physics Laboratory in Laurel, Md. – are flying in nearly identical eccentric orbits, which span Earth’s entire radiation belt region. The mission recently received the highest rating for scientific achievement in the NASA Heliophysics Division bi-annual senior review of operating missions, and was granted approval for a two-year extension. This will give scientists the opportunity to extend their study of radiation belts energization, loss and transport processes into a period when solar activity is diminishing. By applying lessons learned during the primary mission, the Van Allen Probes team has optimized data compression so much that the spacecraft can now deliver twice the information per download pass as they could during the first two years of operation. The team has also developed a way to adjust the spacecraft separation when they lap each other in orbit. This maneuver, new to the extended mission, will place the spacecraft on the same field line of Earth’s magnetic field, just like beads on a necklace. Another new maneuver planned for the extended mission will double the number of times the spacecraft lap each other, allowing scientists to gather more detailed information on the processes that accelerate radiation belt particles. All of this is made possible because of the resilience of these tough, well-protected probes, which were built to survive the harsh radiation environment of the belts. The Van Allen Probes mission is partnering with several other NASA and international missions to better understand the particle acceleration and loss processes that sculpt Earth’s radiation belts. In addition to prior and ongoing collaboration with the Time History of Events and Macroscale Interactions (THEMIS) and the Balloon Array for RBSP Relativistic Electron Losses (BARREL) missions, Van Allen Probes will work with the four spacecraft of the recently launched Magnetospheric Multiscale (MMS) mission and the Exploration of energization and Radiation in Geospace (ERG) mission, soon to be launched by the Japan Aerospace Exploration Agency (JAXA). NASA Administrator Charles Bolden and Brazilian Space Agency President Jose Raimundo Braga Coelho recently signed agreements that will allow Brazil to access data from the Van Allen Probes mission, furthering the mission’s science objectives and increasing the quantity of space weather data that can be made available. Read more about the Van Allen Probes’ space weather data products here. Ukhorskiy said the mission has seen outstanding growth in the number of publications and citations in scientific journals and he expects that number to continually increase thanks to these new partnerships. 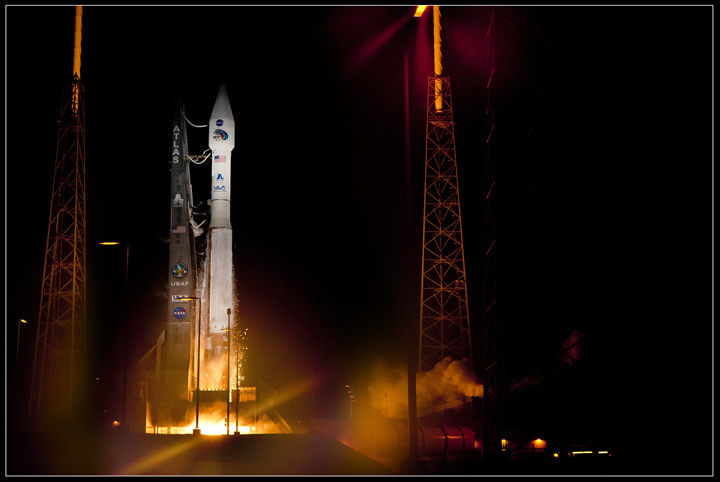 NASA launched the twin Van Allen Probes in the summer of 2012. APL built and operates the probes for NASA’s Science Mission Directorate in Washington. NASA’s Living With a Star program is managed by NASA’s Goddard Space Flight Center in Greenbelt, Md. The program explores aspects of the connected sun-Earth system that directly affect life and society.